Interested in dabbling in functional programming? At least, moreso than what Java 8 brought to the table? Here's the case for learning Scala. 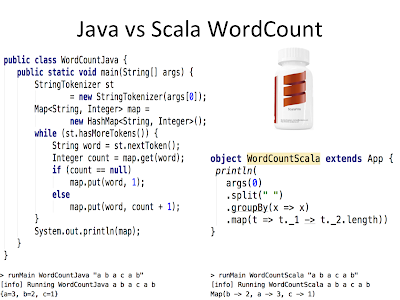 One of the questions my readers often ask me is, "Should Java developers learn Scala? Does Scala have a better future than Java? Why should Java developers learn Scala," and so on. Well, there can be many reasons for learning Scala, e.g. you are forced to learn it because it has been used in the new company you joined, or your solution architect decided to use it, but that's a different story. Here, we'll talk about the reasons that encourage Java developers to learn Scala. Scala has emerged as one the most powerful Java alternatives in recent times. It's been the JVM language of choice, leaving Groovy and Kotlin way behind, and is preferred as the language people want to write the most code in. Scala has several strong points, the strongest being that it's a multi-paradigm language. With the superiority of functional programming idioms available to take advantage of multi-core CPU architectures, Scala has the right mix of popular object-oriented paradigm. 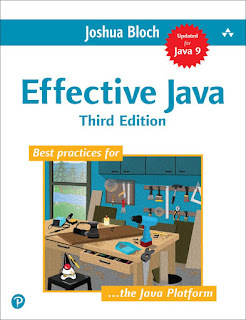 It not only solves many of Java's issues, e.g. less to no boilerplate, but it also provides several best practices and patterns right in the language, e.g. immutability with the val keyword and case classes. Despite providing the fluency and flexibility of dynamic languages like Python, it's still a strongly statically typed language to prevent you from doing bad things, which just happen at runtime in dynamic languages. I am sure Scala developers will add many more reasons into this list, but being from a Java background and ardent supporter of Java, I think Scala definitely has something to offer, and the following reasons make a lot of sense for Java developers to learn Scala. Scala is a bit different than Java, as it supports two programming paradigms: object-oriented programming (OOP) and functional programming (FP). To advance your programming skills, it's good to learn at least one language from different paradigms, e.g. imperative, logical, functional, and OOP, and Scala gives you a chance to explore both functional and OOP together. The Pragmatic Programmer book also advises you to learn a new programming language every year. Scala allows you to define types associated with both data attributes (with classes behaving like C++/Java classes) and behavior attributes (with traits corresponding to Java interfaces). Just like in other functional programming languages, Scala functions are first-class citizens (which means you can pass them around as values) and Scala also supports anonymous functions and currying (partial application of multi-argument functions). This combination of features makes it possible to write Scala programs that are quite concise and elegant. Being multi-paradigm is one of the strongest selling points of Scala, which Java 8 has also attempted by introducing lambda expressions (see Java SE 8 New Features), but it is still a couple of steps behind. I think, Scala will always be more functional than Java, but that's topic of another debate. In my opinion, Scala's choice of being inter-operable with Java is the best thing happen to Scala. 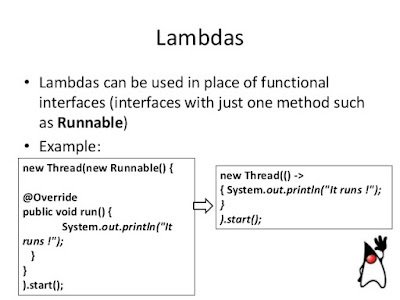 Scala runs on the Java Virtual Machine (JVM) and can interoperate nicely with Java code. This means Scala developers can use Java libraries directly from Scala code. Given, many Java developers are turning to Scala, this is the perfect way of leveraging their years of experience in real-world programming. It is also possible to call Scala code from Java, and you can easily write part of your program in Scala and the rest in Java. In short, interoperability with Java gives Scala huge potential to become mainstream, enterprise programming language, as so much of the world's code is written in Java and so many developers are working in Java around the world. One thing you might not know about Scala is that it was originally developed at the Swiss university EPFL in an attempt to apply recent innovations in programming language research to a language that can gain mainstream traction, much like Java. Several best practices and patterns are built into language itself, e.g. val declares top-level immutability, which is much better than the overloaded final keyword in Java, or const/read-only in C# with the weird rules associated with it. It also got case classes, which makes it easy to create immutable Classes in Scala. Scala also offers closures, a feature that dynamic languages like Python and Ruby have adopted from the functional programming paradigm. When you compare Scala with Java as I did in my previous post about the differences between Scala and Java, Scala certainly scores big over Java. Scala is inherently very expressive. There’s also tons and tons of really beautiful and useful code written in Scala. This is attracting more and more Java developers to learn Scala, who like such beautiful code. To give you an idea, here is the word count program written in both Java and Scala, you can see the difference in the expressiveness of language by yourself. Scala has achieved in just one line what Java has taken more than 10 lines to achieve. By the way, things can be improved on the Java side by using Java 8 features, which is not used in this example but still, Scala scores big over Java when it comes to concise and clean code. What programmer doesn't want to be marketable? One reason for learning a new technology or framework is always a better job and career growth. Learning Scala will certainly make you more marketable. Many companies are using or migrating to Scala these days, including Twitter, LinkedIn, Foursquare, and Quora. Given Scala's marketing as Scalable language, the days are not far when the big investment banks and financial organizations will start looking Scala for their low-latency solutions. Similar to the advice given in Effective Java, Twitter has already shared best practices to develop programs in Scala as Effective Scala. The founders of Quora spent a couple of months building a Scala web framework in order to use Scala. Martin Odersky, the man behind Scala, is now behind the start-up Typesafe for supporting commercial Scala development. Everything is going in the right direction for Scala to grow as the prime alternative to Java. In general, a statically typed language like Java prevents programmers from doing bad things, while, with a dynamic language like Python, you only know about a bad thing when you run the program. Scala has the best of both worlds. It feels dynamic, but it's strongly statically typed. The Scala compiler is really smart and uses type-inference to its fullest extent. Scala provides type inference for variables and functions, much better than the limited type inference in Java and C#. One thing you might know about the ecosystem is that Scala is growing. There are lots of good libraries and frameworks coming around. Companies that have started using Scala are also contributing to the recent growth of Scala as a mainstream language. There are some nice Scala web frameworks out there, including Lift and Play. Akka, another Scala-based concurrent framework has already established itself as toolkit and runtime for building highly concurrent, distributed, and fault-tolerant event-driven applications on the JVM. Scala is also been used in Big Data space along with Apache Spark, which has further fuelled its adoption by many Java developers interested in Big Data. Along with the language and associated frameworks, the Scala community is also growing. Lots of programmers, including Java developers, are joining the Scala bandwagon. More and more IDEs have started to support Scala syntax, and there's much better support in Eclipse and IntelliJ. There's also great build tool support in SBT, Maven, and Ant. In recent surveys, Scala has also been touted as the number one alternative to Java. In my opinion, to grow Scala as the real alternative of Java, given Java 8 also has functional programming support, it has to attract more and more Java developers. Getting big organizations like Twitter to adopt Scala certainly helps the community, as they have more resources and influence. By the way, you can also use the Lombok library, one of the essential libraries for Java developers, to remove the boilerplate code related to getters, setters, equals, hashCode, and toString. It can automatically generate those for you. For a Java developer, learning a classical functional programming language like Haskell or OCaml is rather more difficult than Scala. In other words, Scala is relatively easy to learn because of its OOP functionality. While taking their time to learn functional programming, Java developers can still be productive in Scala by leveraging their existing knowledge of OOP. Like Java, Scala has clean syntax, nice libraries, good online documentation, and lots of people in the industry using it. With a growing community of Scala on forums, it's not difficult to find an answer to any Scala questions, which adds to your learning experience. Once you start learning Scala, I am sure you will LOVE IT. It's not only got cleaner OO code but also functional capabilities, it feels dynamic (like Python) but it also has a static type system that can prevent you from doing bad things. If you decide to learn Scala in 2018, here are some useful resources for further learning. All the best with your journey into the beautiful world of Scala and functional programming. If you have any questions or feedback, please drop a note.